I have about a dozen cookbooks, mostly about baking, but I don't often crack them open. If I don't already have a recipe, I usually hop on the internet and begin searching. That being said, I do have one cookbook that I go back to again and again. I've made at least 10 things from Home Baked Comfort by Kim Laidlaw, and they've all been a hit. 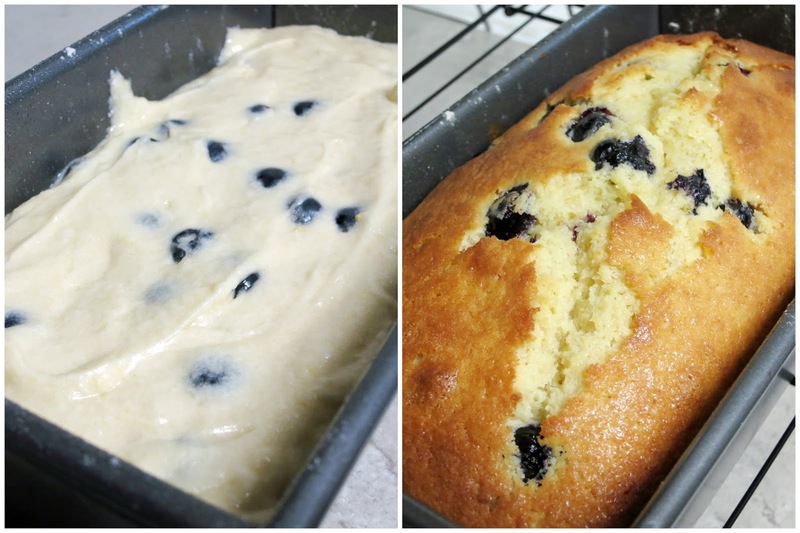 Most recently I made her Lemon-Blueberry Drizzle Bread and consider it another success. It was moist and lemony, not too sweet, and delicious with a cup of coffee (or tea). She has a note with the recipe for when blueberries aren't in season, to replace them with a tablespoon of poppy seeds. I'm sure that is equally tasty! Heat oven to 350º and butter and flour a 9"x5" loaf pan. 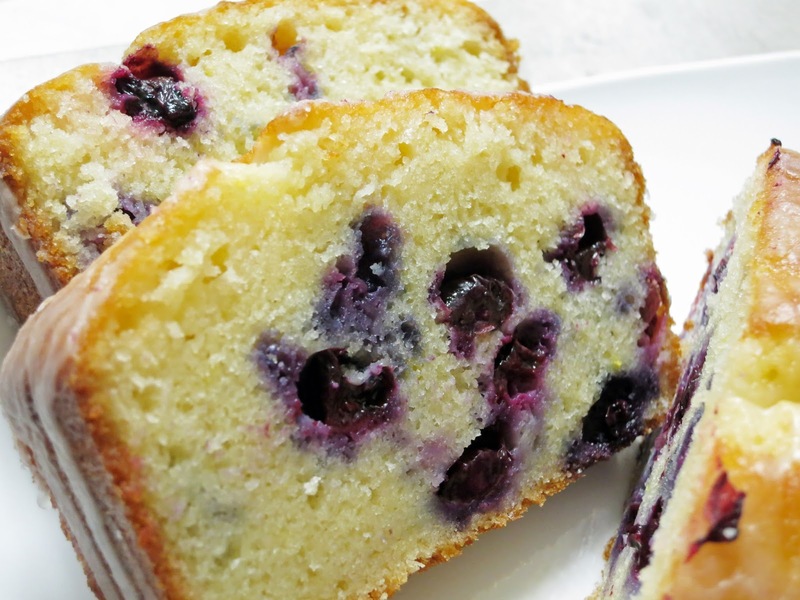 Clean and dry the blueberries and then place them in a small bowl and toss with 1 tsp of flour. In a small mixing bowl, whisk together flour, baking powder, and salt and set aside. In a large mixing bowl, cream the butter, sugar, and lemon zest. Add the eggs one at a time, mixing well after each addition. Add the milk and vanilla and mix until combined. Add the flour mixture and blend just until incorporated. Gently fold in the blueberries. Place batter in prepared pan and bake until lightly browned and a cake tester inserted comes out clean, about 45-55 minutes. Let loaf cool in pan on a wire rack for about 5 minutes, then turn out onto rack. While the cake is baking, make the syrup. In a small saucepan over medium, dissolve the sugar in the lemon juice. Once the cake has been removed from the pan, poke holes in the top with a cake tester or thin skewer. Brush the lemon syrup evenly over the entire loaf. While the cake is cooling, make the glaze. In a small bowl, mix the confectioner's sugar and lemon juice until smooth. 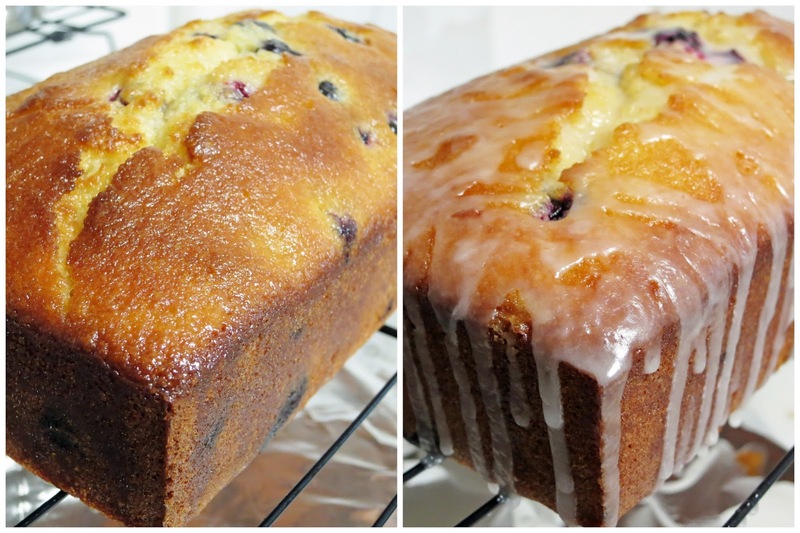 Once the cake has cooled completely, you can drizzle the glaze over top. Cut yourself a nice slice and enjoy! OK now I'm hungry.... lol! Oh my word! That looks sooooo good! Dear Lil Gik, that looks delish - please send me one. 'k thanks! Dear Big Gik, it was thanks! You move back here and I bake for you. Lava!